Wow, where has this year gone! It seems as though it just began and here we are days away from Christmas. Somehow I managed to get my shopping done a week before the big day. Zane is definitely ready and luckily Santa filled me in on what he asked for. We wont be blessed with a white Christmas this year, but have had more than our fair share of snow since the first weeks of October. 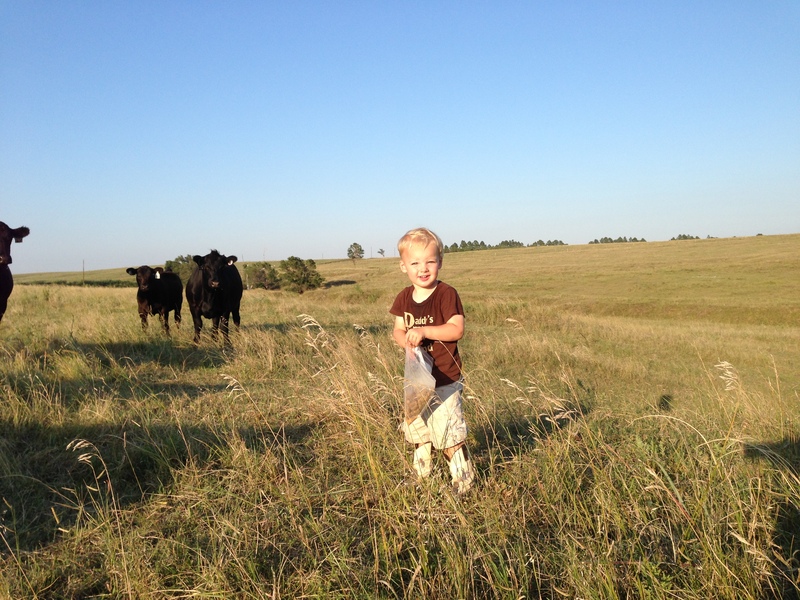 So since we wont be having one this year, I will leave you with a picture of Zane and the cows from earlier this year. Merry Christmas and Happy New Year to all! If you are on social media and are in agriculture, I’m sure you have heard about the massive wildfire which began on March 22. The fire started in northern Oklahoma and quickly spread to southern Kansas. The fast moving flames were fueled by warm days with low humidly and nearly 60 mile per hour winds. Once the wrath of Mother Nature begins in the form of a wildfire, there is little anyone can do to control it until the winds calm down. If you were waiting to hear about his fire on the national news, you more than likely would get a few gray hairs waiting on it. It didn’t make the front page headlines of Wall Street Journal or USA Today. Why do you ask? Out here in the “fly over states,” where there the population of cattle is more than people, it takes a significant event to make headlines. While cattle perished, a few homes were lost, and many people’s lives were turned upside down, there was no loss of human life. Populated communities weren’t forced to evacuate. And million dollar homes didn’t burn to ashes. So it didn’t make a catching national news title right away. In today’s social media culture, it seems the negative events outnumber positive ones tenfold. You don’t see a lot of good deeds on the Today Show or Good Morning America. 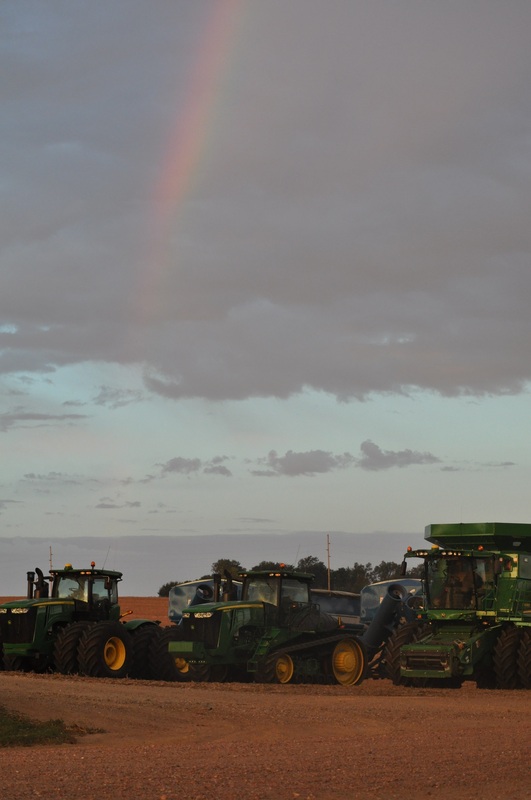 But if you look to middle America, and the agriculture community, you will find plenty of reasons to smile, read about the generosity of others and pay it forward. 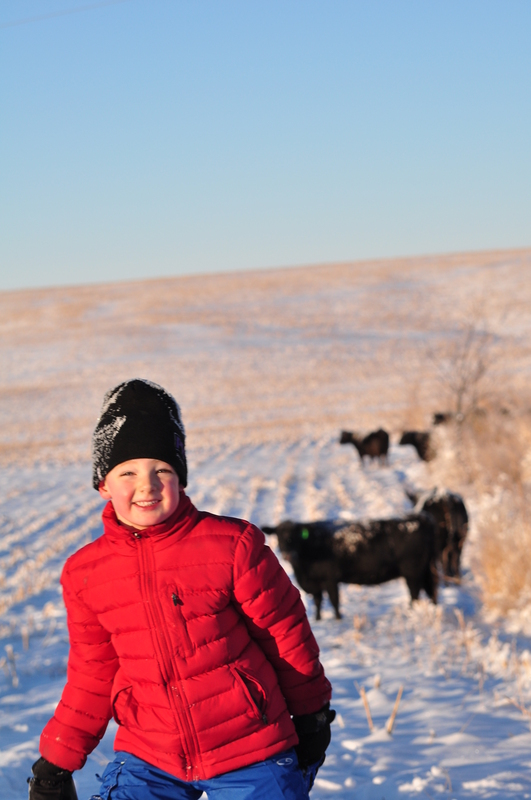 Several years ago in the aftermath of the Atlas blizzard in western South Dakota, which devastated ranchers in that area, I put together a trailer load of bred heifers to donate to a young couple to lost nearly all their herd. 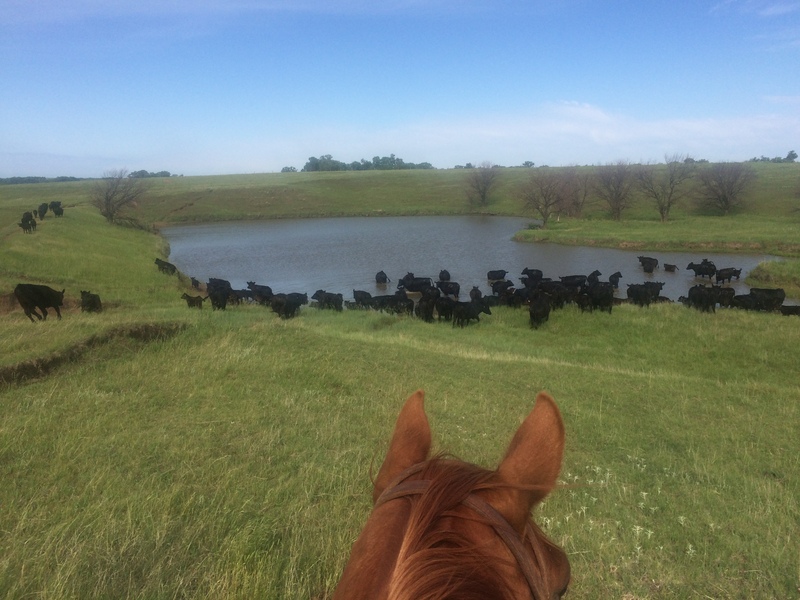 The heifers were donated to help them rebuild their herds. 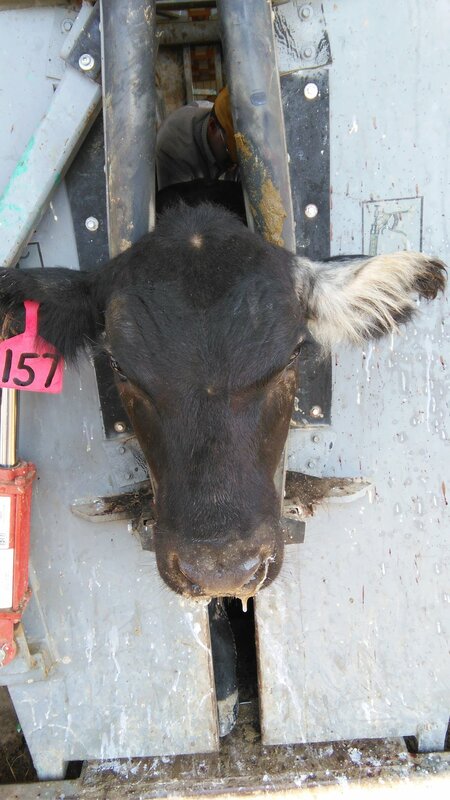 My husband and I and a few other generous cattlemen donated enough heifers to send a trailer load to South Dakota. I hauled them up there and I wasn’t prepared for the emotions I faced when I delivered them. We shed a lot of tears, but the feelings of generosity and “warm fuzzies” were something I will never forget. On March 23 and 24, the pictures and devastation of the Anderson Creek Wildfire (as it is named), began making news on Facebook and Twitter. I saw the pictures and couldn’t fathom what our fellow ranchers and cattlemen were dealing with. Thousands of head of cattle mixed together because of charred posts and cut fences. The firemen had to cut fences to fight the fire. Why do you ask did they cut the fences? In big ranch country roads go through pastures which measure miles and miles across. The country south and west of Medicine Lodge is rough country. Steep canyons, rough sandy terrain and massive amounts of cedar trees. So since there isn’t many roads, to get to where you need to be in an emergency, cutting fences to save cattle and buildings is the solution. When the nature of the situation became apparent, a massive plea for help was made. The first thing needed was massive amounts of hay. Many hay piles ranchers save to feed cattle before spring turnout was reduced to a tiny pile of ashes the fire was so scorching hot. Their range land was charred Earth as well. There was nothing to feed thousands and thousands of head of cattle. If you have never had the experience of agriculture helping agriculture, it is truly a unique relationship. 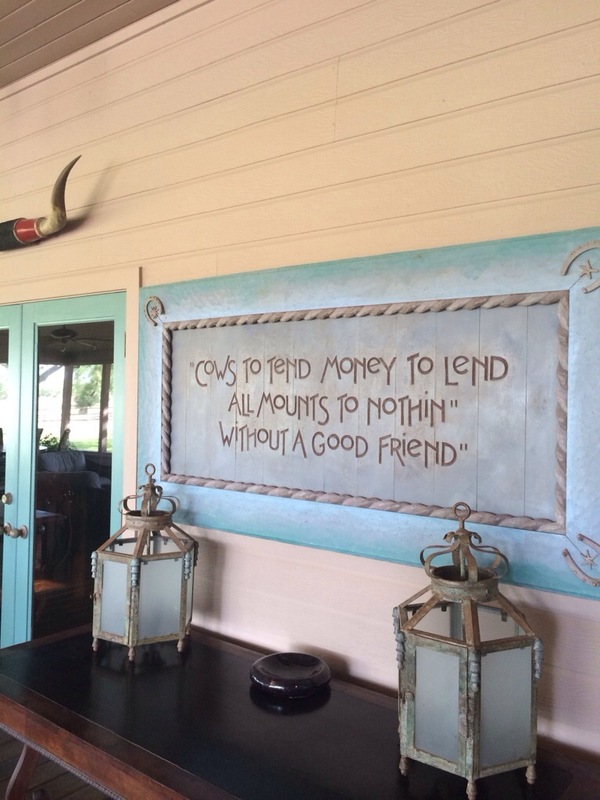 Farmers and ranchers are some of the most generous individuals in the world. The fire burnt so hot it smoked this wheat field. Truck load after truck load was donated to ranchers. Many who never knew each other, and some who never met the individual it was delivered to. Each load was worth between $2,000 and $3,000. That’s a lot of dollars of donated feed! help but couldn’t donate hay, could be involved. I received donations from many people I don’t know. 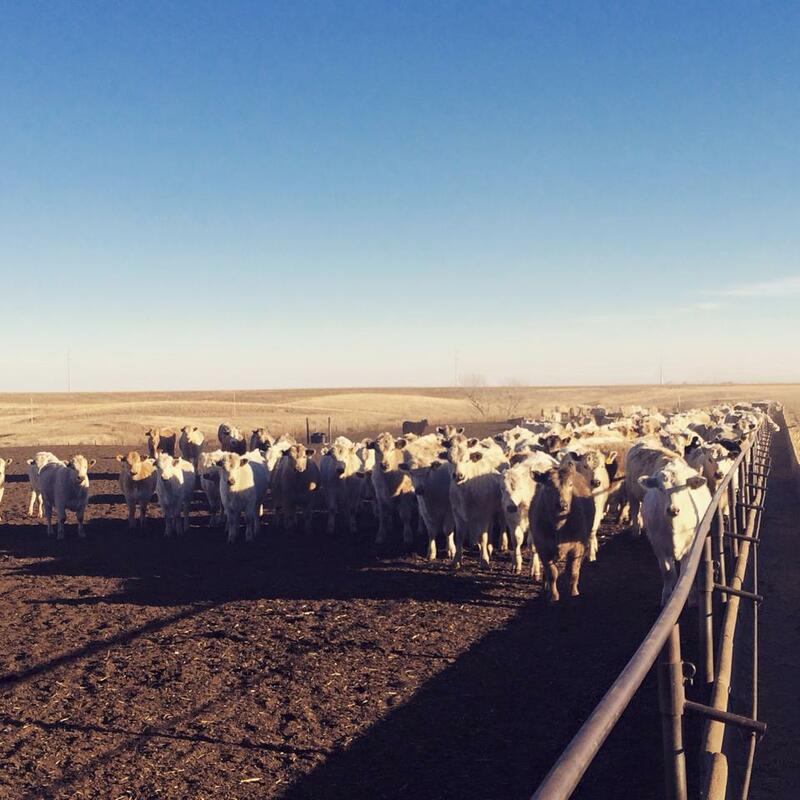 All to be used to help cattlemen in need. When we made it to our destination southwest of Medicine Lodge, I became overwhelmed with emotions. We pulled into his hay stack yard, where over 300 bales of hay were stored, was charred barren ground. His hay to feed his cattle was completely gone. Very few ashes even remained the fire burned so hot. The fences were reduced to wire laying on the ground. It was a very humbling moment to realize what they were facing. They gratefully unloaded 3 truckloads of hay we donated them. While the trucks were being unloaded, Dennis (the rancher who we donated hay to) took me on a small tour to witness the devastation he is faced with. His neighbor’s home was reduced to ashes. The bridge less than a mile from the stack yard burnt down, miles of fences were charred to bits. It was rather overwhelming for me driving around in his ranch pickup looking at the blackened Earth. When the smoke finally cleared an estimated 450,000 acres burned, which is over 650 square miles. Most of the fires were contained on Easter morning when the blackened Earth was turned white with three inches of snow. It was a glorious event for residents of Comanche and Barber counties in Kansas, to wake up to a white Easter, helping extinguish the flames. Eventually the grass will grow back, and with some help from Mother Nature, sooner if they get some much needed rain. However it will take some time to build back the range reserves they use to feed cattle in that area. With the donated hay they can keep their herds together. Even though the fire itself didn’t make huge national headlines, my hope is the generosity of the American farmer and rancher is shared so much it reaches the communities of urban America. This is what the aftermath of a natural disaster is all about – people helping complete strangers. 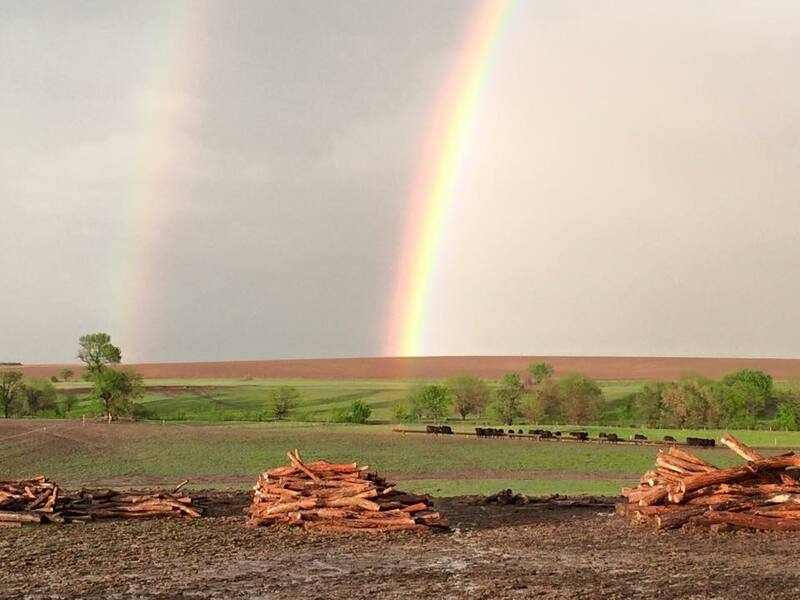 If you would like to donate to help the ranchers of the Anderson Creek Fire, you can find disaster relief information through the Kansas Livestock Association. Subway has a huge presence in many farming and ranching communities, many with few fast-food options. I have been a huge supporter of Subway over the years. Since I do some traveling for work, they have always been a healthy, convenient eating choice for me. Many utilize Subway for lunches after long mornings working cattle or doing field work, days which begin long before the sun rises in the morning. On Tuesday, October 20, Subway made the following statement. Which of course was extremely frustrating for myself and many others who raise the food we eat on a daily basis. We take great pride in taking care of our animals and ensuring they live a healthy life. “Tuesday, Subway restaurants made the announcement that beginning in March 2016 it will serve chicken raised without antibiotics. Further, the company will source turkey, pork and beef in the same manner within a 10 year period. A spokesman for Subway stated that company’s goal is “eliminating antibiotics from all of its meat supplies within 10 years”. I could spend a long time writing about this subject, and it is an emotionally driven one. But the one thing I want the American consumer to understand, is we take great pride in our animals and providing you a safe, tasty, wholesome product. Our farm animals are usually healthy, but there are occasions they require antibiotics. The only other option is to let them suffer and eventually die a painful death. Yes, I will say it like it is on the farm or ranch. On our ranch, we treat each animal with respect and want them to live healthy lives. Farm animals can become sick with cold and flu like illnesses, just like us. And when they become sick we doctor our cattle with antibiotics to get them feeling better quickly. Many people have companion animals (dogs or cats). When they become sick, they take them to their veterinarian. 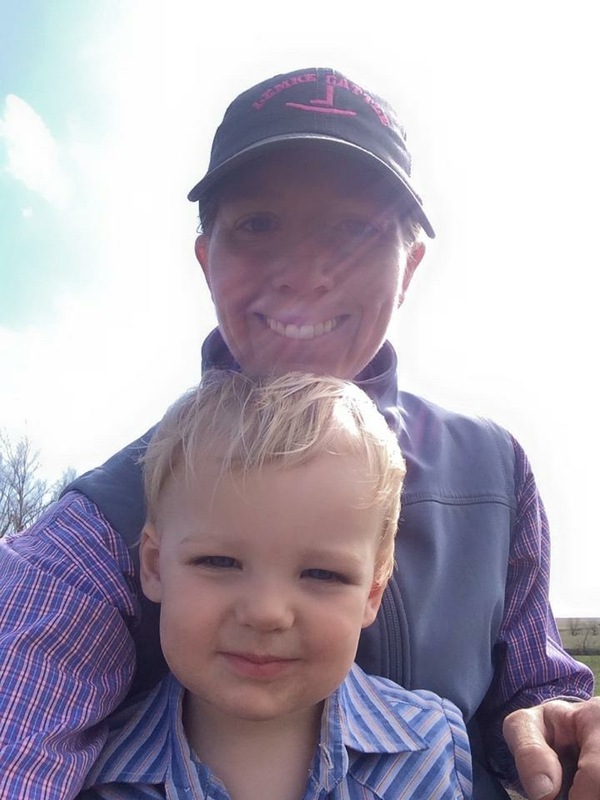 Farmers and ranchers are no different with their cattle. We have close relationships with our veterinarians. The antibiotics we use are under strict supervision of a licensed veterinarian and there are protocols in place for using them. A large misconception, which is spread by mainstream media, is meat animals are pumped full of antibiotics. This is simply a false statement. One of the drugs we treat sick cattle with is called Draxxin. A 500ml bottle cost farmers and ranchers over $2000 dollars. Yes, dropping a bottle is simply not an option! And neither is allowing our cattle to suffer with illness. We use these antibiotics in small levels to help sick animals feel better quickly. There is no option once an animal gets an illness. We treat them. 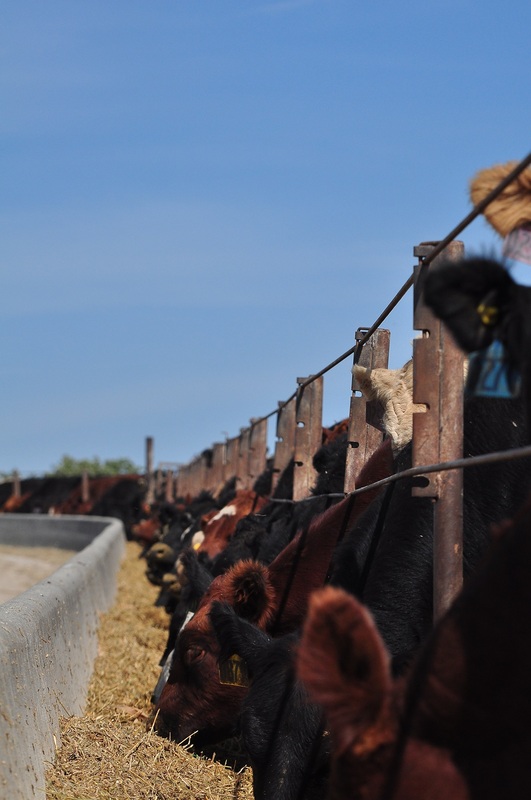 The fall months are a common time for cattle to become sick. The weather plays a large part of this. 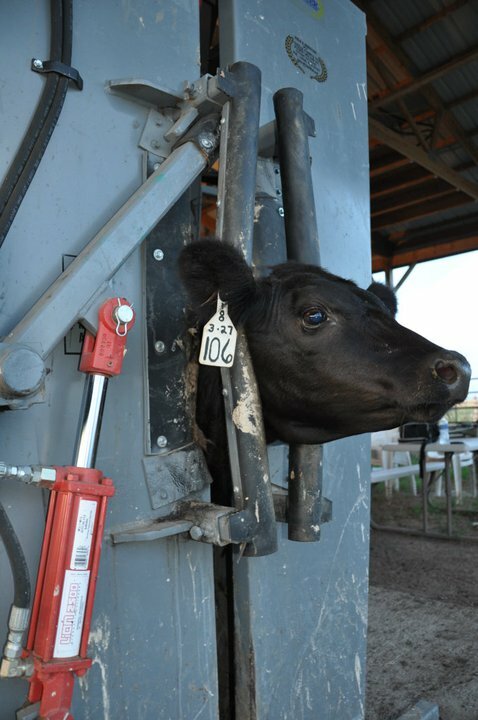 Large swings in temperatures is one possible factor in cattle catching an illness. 90 degrees during the day, then cooling down into the 40s at night can trigger illnesses in cattle. Wet, damp weather can cause them to get sick as well. These factors cause us as humans to not feel well also. My son had bad bronchitis last week. Of course after I realized he couldn’t fight the infection on his own, my husband and I took him to the doctor. It’s the same for cattle. Just a little veterinarian visit and they feel much better quickly. 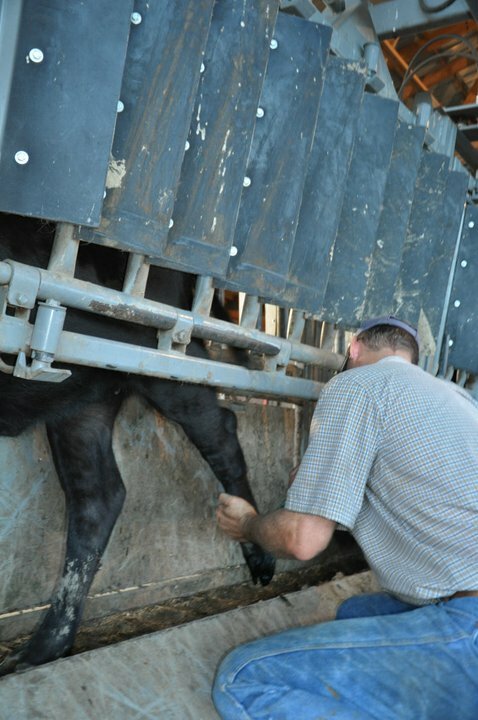 Once the animal is doctored with an antibiotic, farmers and ranchers follow strict withdrawal protocols. This means the animal is not allowed to enter the food chain until the withdrawal period is finished. 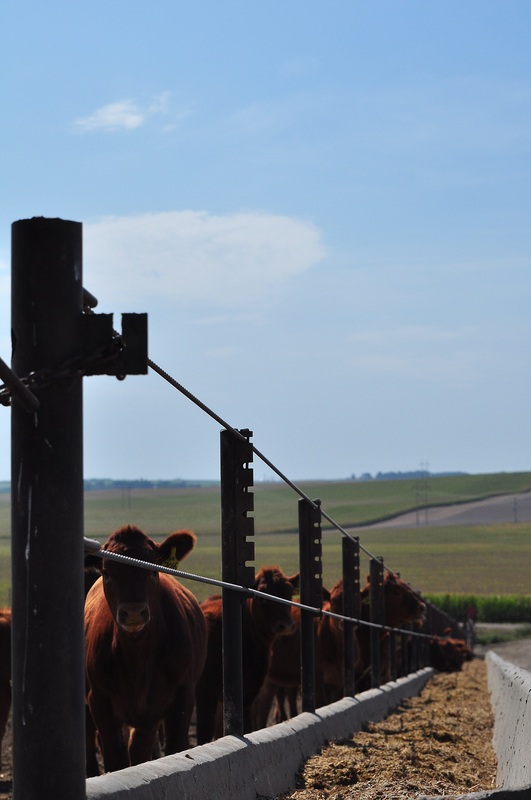 The meat packing plants have steps in place, including testing, to ensure withdrawal periods are followed. A calf was limping and needed to visit the hospital. Troy decided she had a foot infection and required a small dose of antibiotic to feel better. As Americans, we are blessed with the safest food supply around the globe. We have protocols in place to ensure animals which have been treated with antibiotics don’t enter the food supply. Farmers and ranchers follow their veterinarians treatment regime to help animals feel better quickly. 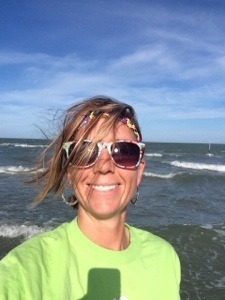 I am blessed to have a wonderful way of life. I enjoy every day of it. It breaks my heart to see a sick animal. So just like when we as humans have an infection, Im going to make sure my animals feel better quickly. It makes perfect sense. Why would we allow our farm animals to suffer? To end this post I have a few requests. 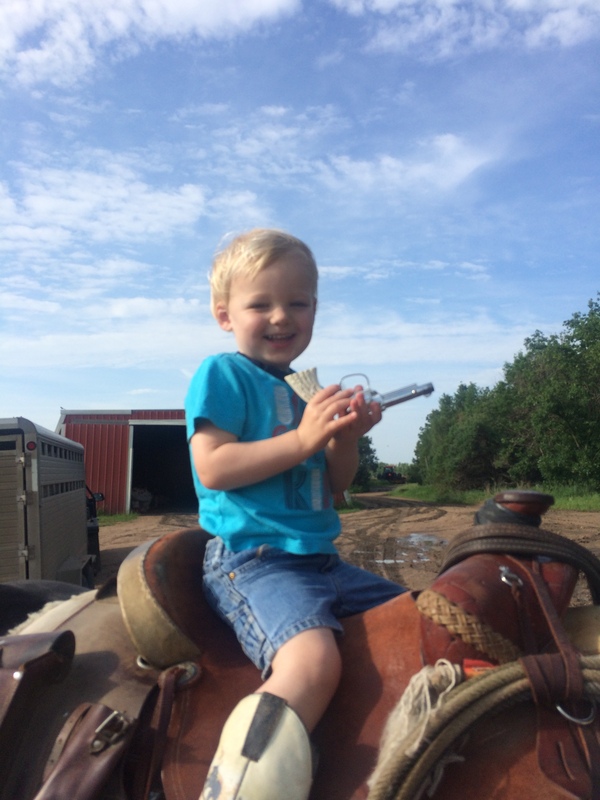 The first is for Subway – please take time to listen to Americas farmers and ranchers and understand farm animal antibiotic use. Also, our supply is antibiotic free. The second request is to those who enjoy Subway restaurants as much as I do. Take the time and visit your local franchise, most likely, locally owned. Let them know your feelings toward Subways corporate decision to purchase “antibiotic free’ meat. Many local franchise owners don’t know about this decision or why it is an issue in their communities. Be polite and kindly let them know Americas meat supply is antibiotic free. Greetings from Nebraska! Wow this summer has absolutely flown by. As I’m typing this, the current temp is 73 degrees. And this is midday in August! This is unheard of weather for Nebraska. I wonder what fall and winter will bring us……. Speaking of the weather, it certainly was a challenge this summer. Getting hay swathed, raked, baled and moved off the field was a big chore between the much needed rains. Every cutting has presented its own challenges. We are very thankful for the rain. The cows are up to their bellies in grass, and its the middle of August. That never happens! 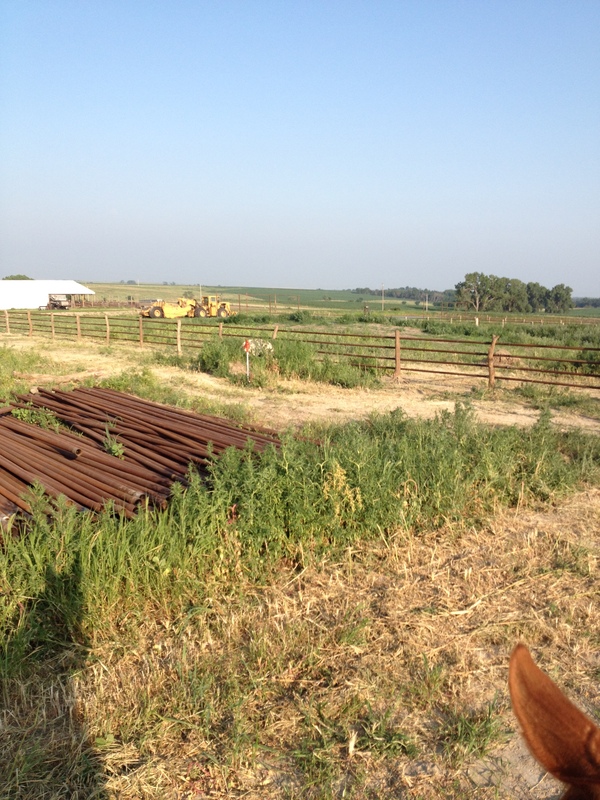 Other than putting up hay, the other big project over the past year has been building a small feedyard. 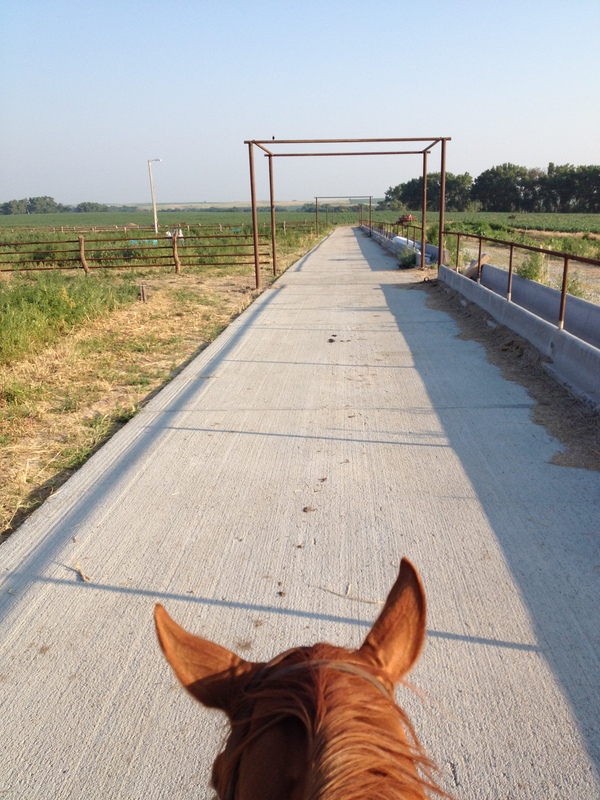 It has been a long road, but we are finally about ready to fill it with cattle. We’ve been working on it for over a year. It will be a day of rejoicing and taking a deep breath when it is finally filled with cattle. The biggest news I have from my busy summer is taking a chance and making a career change. In late May, an amazing opportunity was presented to me. After a lot of thinking I decided to take a chance. I accepted the regional sales manager position for Turnkey Computer Systems, based out of Amarillo. My main focus is with feedyard accounting software. It has definitely been a challenge learning the software programs, but it is something I have a great deal of passion for. I also have a great team to work with. I look forward to where this new adventure is leading me. 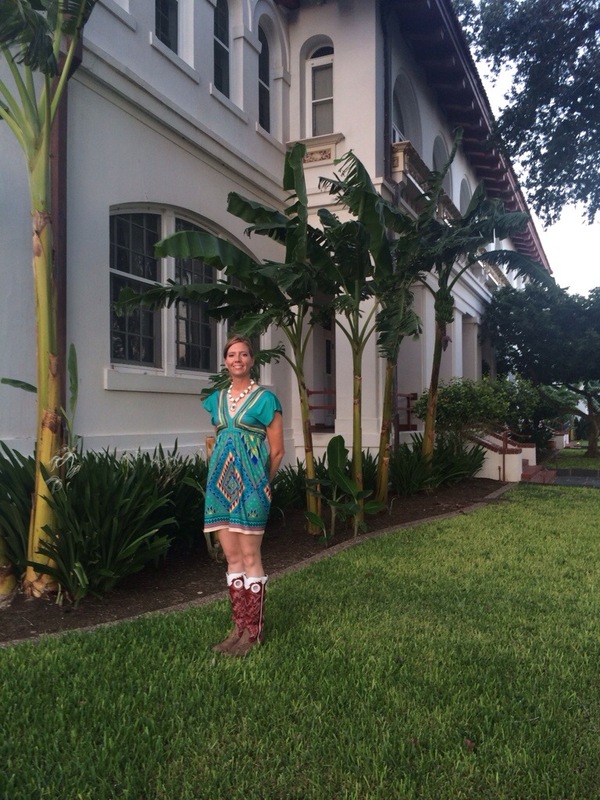 I am also 3/4 of the way through the two years my King Ranch Institute leadership program. I have learned a lot from the program, and definitely can thank National Cattlemens Beef Association and the KRIRM for helping build my leadership skills. Last February at the NCBA Convention I began serving on the NCBA Cattle Health and Well Being policy committee. This is a huge step in my leadership path. With the busy summer months coming to an end, it means the Nebraska State Fair is quickly approaching. I will be showing Felix two days at the fair. I am looking forward to it. I also am a “Pit Boss” for Nebraska Cattlemens Beef Pit. I am one of about 20 volunteers who help run the restaurant during the fair, promoting delicious Certified Angus Beef. We serve nearly 25,000 sandwiches during the fair. It is a busy time, but well worth it. Year after year we receive so many compliments we are the best place to eat during the fair. If you are able to visit the Nebraska State Fair, be sure to stop by the Beef Pit! Happy Mother’s Day to all the Moms I know! Enjoy your special day. 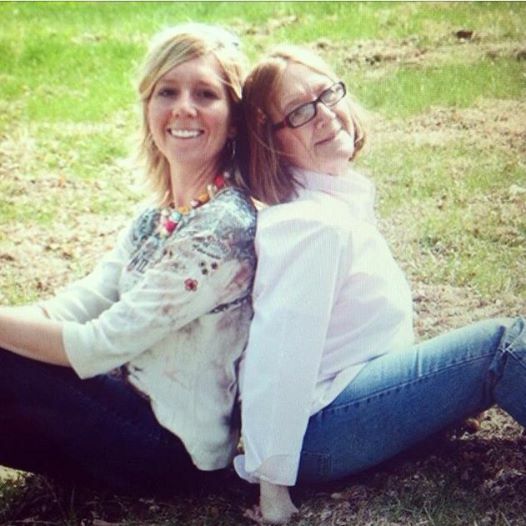 If you have a Mom and can’t spent it with her, at least call her and let her know how much you love her. My mom passed away on February 5, 2014. It was a sudden, unexpected blow to my life. This will be my second Mother’s Day without her. The past year has been a tough one. I have shed lots of tears. Not a day goes which I don’t think of my Mom. But through the difficultly of the past year, I feel something positive has stepped into my life. I have found a new awareness of my feelings, thoughts and emotions. It’s weird it took my Moms death to give me this new awareness. But I believe she’s there riding on my shoulder helping me throughout the difficult days. I loved you for so many reasons. I appreciated how you took care of me when I was sick. How you let me cry on your shoulder, even when I made really stupid mistakes you warned me about. How you thought I was the funniest person on the planet. I will never be able to repay you for all that you did for me, all you sacrificed for me, all you have said, all the wisdom you have shared, and all the love you have shown me. I hope that I made you proud. Today. Tomorrow. Always. I love you. My mom had her faults. And everyone who knew her, knows this. But it’s something which has built my character and made me who I am today. * You’re loved and always will be. I know you’d probably argue with me for saying so, but somehow I don’t think you felt you were worthy or deserving of being loved. I’m here to tell you that you absolutely were. * I think about you an awful lot. I hate that we had to let you go and that you’re no longer here with us physically. We know that you will always be here with us in spirit, but that isn’t quite the same. * I hope that Heaven is everything and more you ever hoped it to be. And I hope that you’re saving us some good seats! * And one more thing, in case I haven’t mentioned it. I love you! Happy Mother’s Day in Heaven! 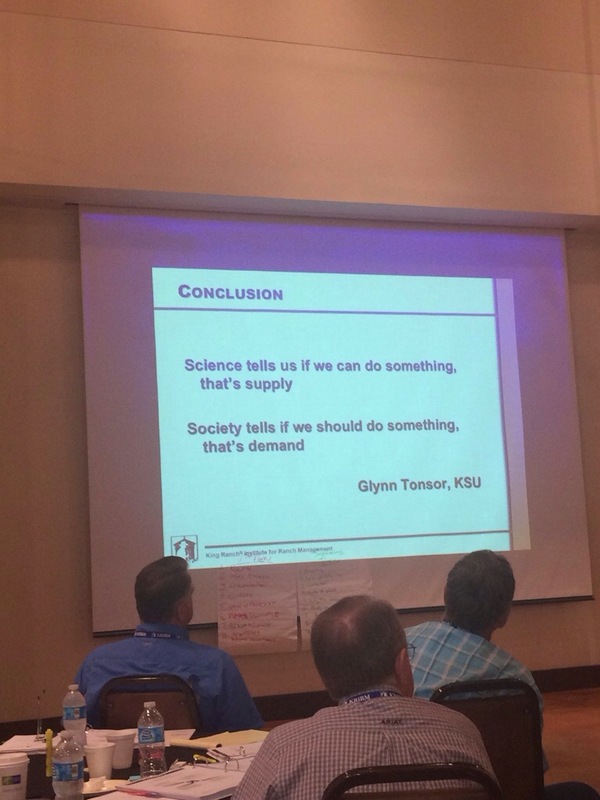 This week I was able to attend the John B. Armstrong Lectureship on Systems Thinking at the King Ranch Institute of Ranch Management in Kingsville, TX. I wasn’t exactly sure what to expect from the lectureship, but after attending it I have an incredible new approach to solving problems. The Systems Thinking approach to solving problems really makes you sit back and admire the question at hand. I believe we as an instant gratification society get so caught up in wanting the fast answer, that we forget to look at the underlying issues causing the problem. If we look ahead to the long term, and solve those underlying issues, then the problem will be much easier to solve. Throughout the week I wondered several times how this all tied together with leadership. If leadership is the ability to get others to follow your lead throughout a lifetime, you have to be able to successfully manage them and have them come together at solving problems. The systems thinking approach is dynamic at doing this. Rather than focusing on the solution, let’s branch out and as a group focus on the underlying issues causing the problem. 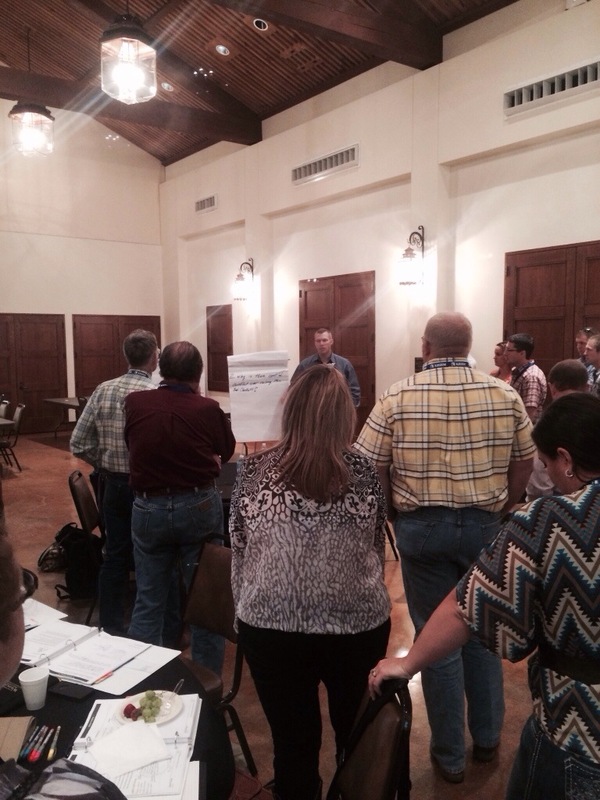 I attended the lectureship as a participant in the KRIRM and NCBA beef leaders program. I am honored to be one of the 18 selected for this program. It has been an amazing experience and I am looking forward to applying what I have learned this week at home, my job at Aurora Coop and with our Cattlemen’s Association. We were able to have a private group tour of the King Ranch. The highlight of the week was definitely having supper at the pool house at the ranch. The history of the place absolutely amazes me!! This morning I was up bright and early to catch a plane to south Texas. 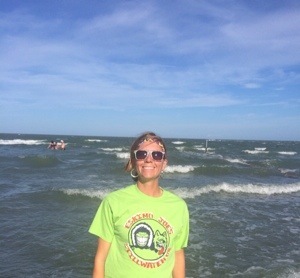 Yes, south Texas in August. 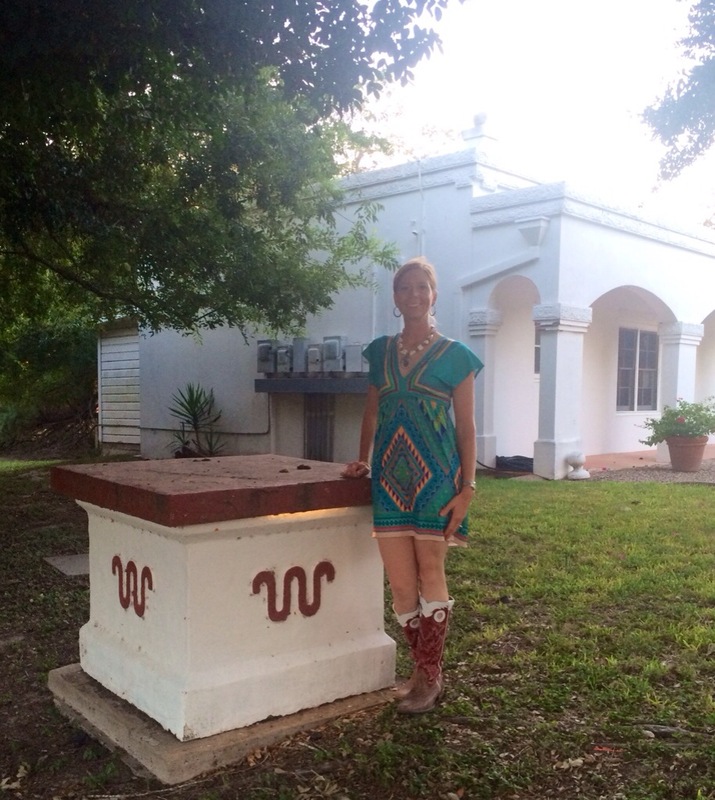 I’m headed for the first time to the historic King Ranch in Texas. I’ve always wanted to have the chance to visit there, and am grateful for this opportunity. 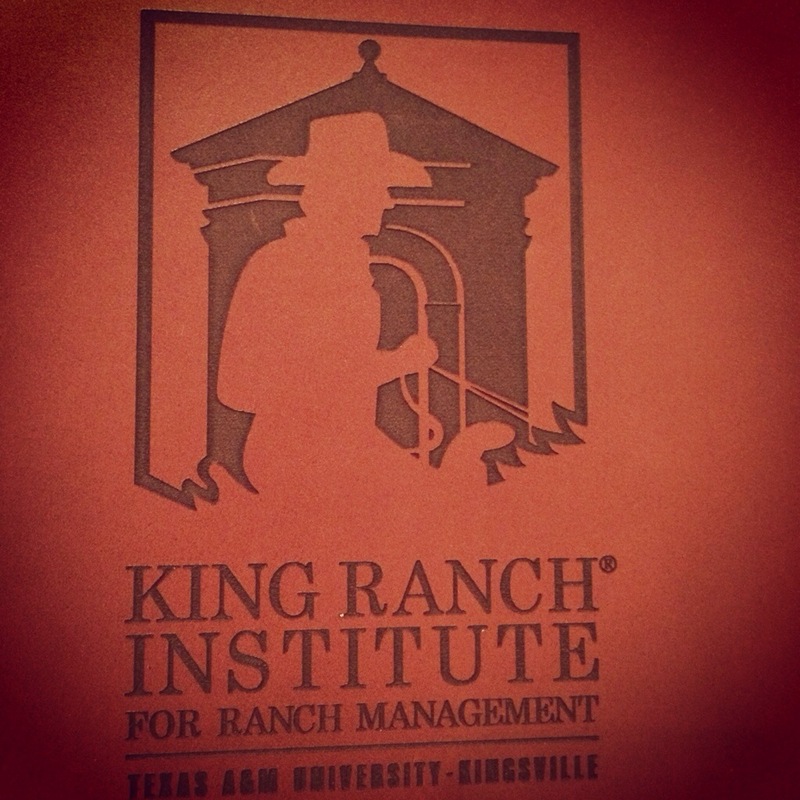 I am attending a weeklong seminar at the King Ranch Institute of Ranch Management, part Texas A&M-Kingsville. 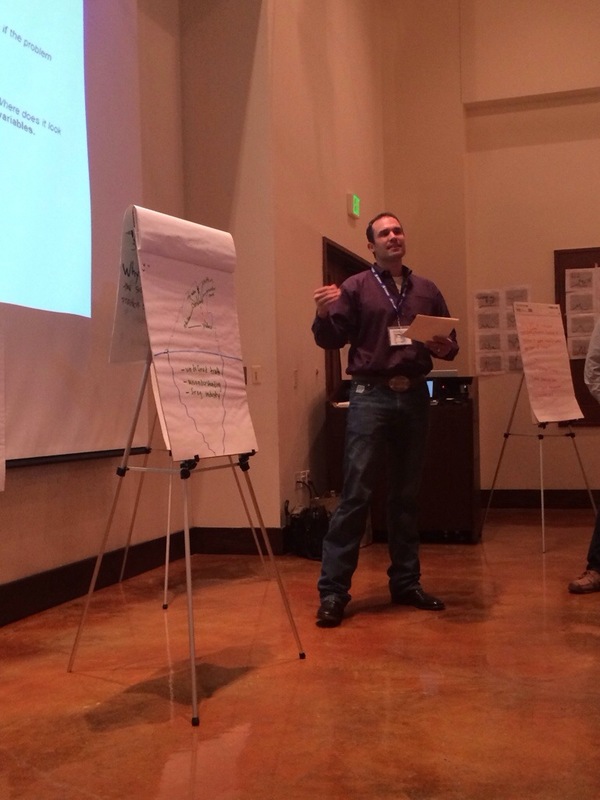 I am participating in a beef leadership program through NCBA and the Institute. I am super excited about this opportunity and what the week will bring. Hopefully I can update my blog a few times while I’m there. Can’t wait to get to Kingsville and all my BEEF peeps! !